How can I e-mail my students before my class starts? Bannerweb includes a variety of “Faculty Services” including enrollment information for classes that you may be teaching. 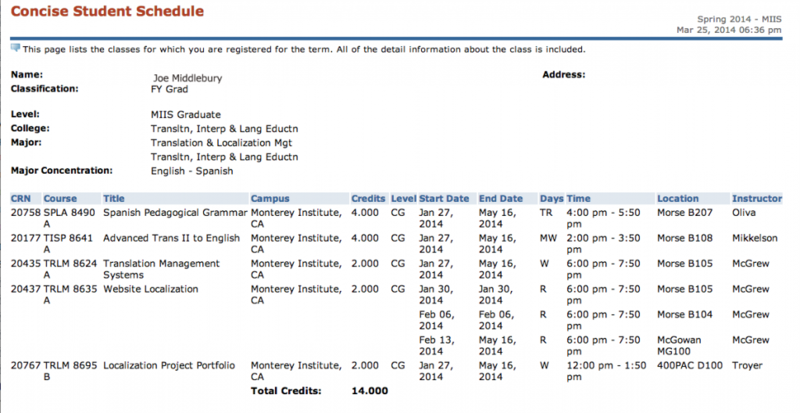 A useful function is the ability to e-mail your students individually and as a group using their @miis.edu accounts. This is useful if you would like to make contact with your students before the first class meeting. For example, to send them the enrollment key for your Moodle course space. Determine the CRN (Course Reference Number) for the course you want to access. Click “Course Selection: Course Reference Number (CRN) in the list of Faculty Services, and take note of the number. You will use this in the next step. The CRN is a unique (5-digit) number assigned to each course section. Only the courses for which you are assigned will be available in the drop down menu box for you to pick from. Return to the main “Faculty Service” tab. Then, click on “Downloadable Class Roster” in the list of Faculty Services on this page. Enter the 5 digit CRN code, then click “Get Roster.” An excel spreadsheet file will be downloaded. Open the Excel file and look for the column labeled “Email.” Highlight the data (e-mail addresses) in the column and paste them into the To: field of your e-mail program. How do I view my class schedule in BannerWeb? To access your class schedule and information, navigate through the following pages in BannerWeb. 1. From the Main Menu, select Student Records & Registration. 3. There are several options to view your schedule. 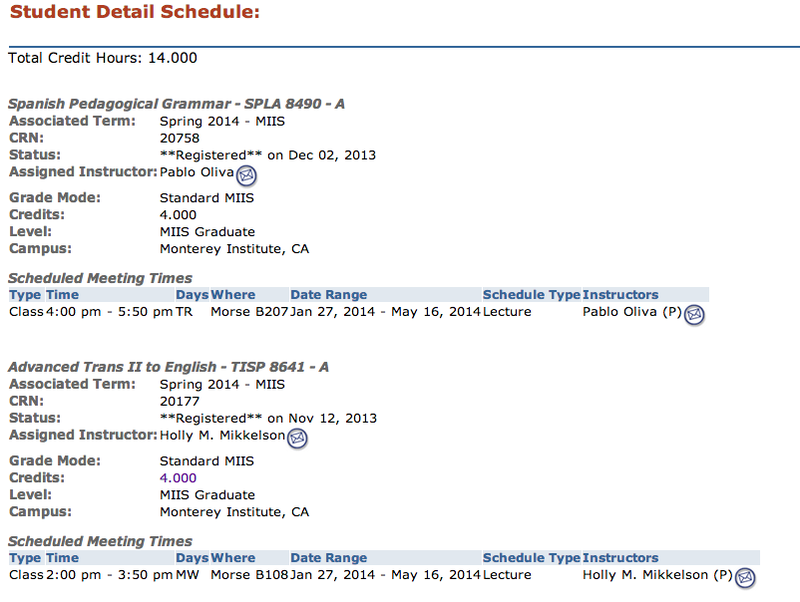 Concise Student Schedule: A concise listing of all courses, locations, professors, dates, etc. Student Detail Schedule: A very detailed listing of all courses, locations, professors, dates, etc. (*Just a word of caution: This option is less printer-friendly, using several pages). Week at a Glance – Schedule by Day & Time: Your schedule listed in a “time block” format, week by week. If you choose Schedule by Day & Time, you must enter a date within the term of classes. For example, 08/27/2014 in this format. When you click Submit, it will bring up a weekly calendar layout for you to view by week. Use Next Week or Previous Week to view alternate weeks within the term. How do I view my Grades or Unofficial Transcripts online? 1. Log in to BannerWeb and select the Student Records & Registration. 2. Next, click on Student Records link. 3. Here you have various options to see your Final Grades or Unofficial Transcripts. You can also view any holds there might be on your account, which could affect your ability to sign up for classes or access your information. If you have any questions about holds on your account, please contact the Records Office. 4. Finally, make sure to exit BannerWeb when you are finished. 1. Go to the BannerWeb site. 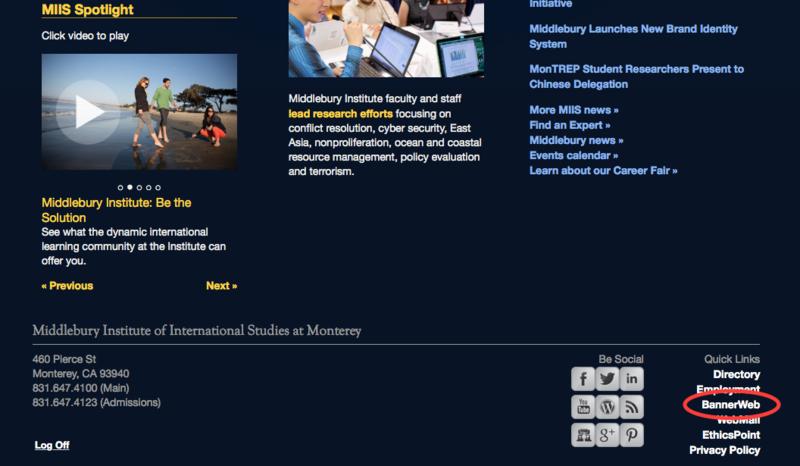 You can also find the link on the Middlebury Institute Home Page: go to the Quick Links section in the bottom righthand corner of the page and select BannerWeb. 2. You will be prompted for your User ID and PIN to enter the secure area. New Students: see your MIIS student ID number on the label inside your arrival packet. 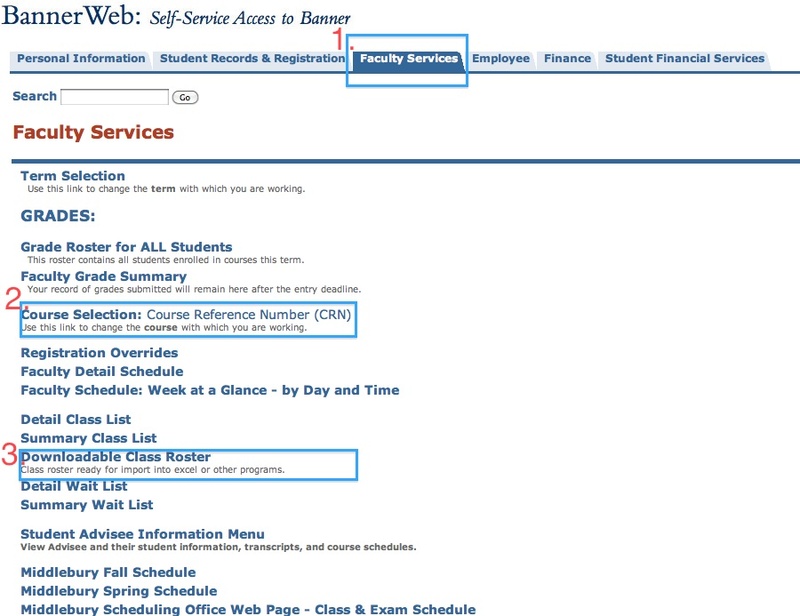 Returning Students who have previously worked on campus: log in to BannerWeb as you would if entering your time sheet. Returning Students who have never accessed BannerWeb: please email records@miis.edu from your MIIS email account to receive your Banner ID #, or come by the Records Office in the Casa Fuente Building. If this is your first time logging on to BannerWeb, your PIN should be your date of birth (MMDDYY). Once you log in using this temporary PIN, you will be prompted to change this to a unique 6-digit number of your choice. 3. You will also be asked to create a reminder question and answer to be used in the future should you forget your PIN. This way, you can reset your PIN yourself if you forget by clicking the “Forgot PIN?” button on the BannerWeb access page. If you incorrectly enter your User ID or PIN five times, you will be locked out. Never fear! The ITS Helpdesk can reset your account for you. If you need PIN-related assistance, please contact the ITS Helpdesk. Once you click “Submit”, you will enter the secured area where you will have access to your Student information as well as your Personal information. You will want to keep your User ID and PIN confidential.